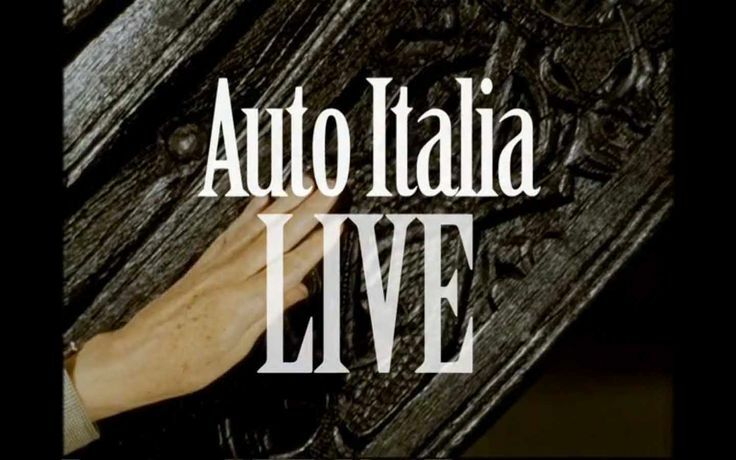 Auto Italia South East presents Auto Italia Live: an artist-run TV series, performed before a studio audience and broadcast live over the Internet. Working in collaboration with Auto Italia a wide variety of artists will produce new work through weekly episodes, engaging directly with the format of live Television and a history of artists using broadcast media platforms to distribute work. Featuring a full camera crew, lighting technicians, directors, performers, production designers and set builders, artists will engage with all aspects of production opening the space for criticality and intervention within the medium. The series aims to experiment with new possibilities to engage in contemporary broadcast and internet culture whilst also responding to the familiar tropes and formulas within television programming. The apparatus of TV and the technical infrastructure will allow for dialogue and exchange with images, actions, performances and experiences. Covering ideas of 'edutainment', to permacultures and ecology that surround the idea of live television the project will engage with how live TV has changed our understanding of culture and public space. Each episode will investigate a range of approaches exploring the expanded notion of the televised live performance, the live soap opera and factual, documentary presentation, through the choreography inherent in both performance and camera movements, and the narrative implicit in the existence of objects within a set. The studio space will be open to the public both for the weekly broadcasts and also at specific times during rehearsals in the preceding weeks. The whole process of live broadcast and the creative process of production will be made public including audiences engaging live in the space and also tuning in online. In an ever increasing landscape of broadcast media and 'accessible' web platforms this project aims to emerge within pre-existing web communities allowing artists to make and distribute new work and create new contexts and audiences around their ideas. artists together and Jef Cornelis in terms of his pioneering productions for Belgium Television in particular shows such as Container. Questioning the demise of risk taking in mainstream cultural programming within the history of British Television, the project aims to provoke discussion and challenge how artists might work together to create new work, examining how dialogues are negotiated and tested within this unique context. Bound up within the collaborative approach to working and new technological developments, issues of copyright and examining how group material can be authored in the context of Auto Italia are researched. New commissioning documents will be compiled that will represent the best practice for commissioning on Digital Media platforms, in ways that benefit the artists over the distributer. These will reflect the possibility and scope of artists working together and producing work independently from the demands of the gallery or a standard art context. All the episodes can be watched as part of the live studio audience or via the website. Theo Cook, Georgio Bosisio, Sonia Rodriguez Serrano, Alex Lightman, Mc Death, George Moustakas, Bethan West, Luke Collins, Robin Stuart, Amy Friend, Ciara Halpin, Mette Juhl, Sam Valiant, Matt Welch, Nicola Sersale.